Its literally been light years since our last post. With the recent formation of a workshop/art studio, I now have some space to reconnect to the work I love. Last night I was lucky enough to go to my brother Joey’s art show @ Backspace Retail in Sonora, Ca. Seeing him create beautiful work and share it with friends, family, strangers off the street..gave me that feeling of reconnecting with the art roots inside me. So naturally I went straight one of my greatest sources of inspiration…star wars and yoda! Check out the step by step process I took to create a few pieces that are now hanging up in the workshop! Enjoy! I was at a garage sale last weekend and noticed this really cool box. Walked up to check it out and I quickly realized that it was something really cool! 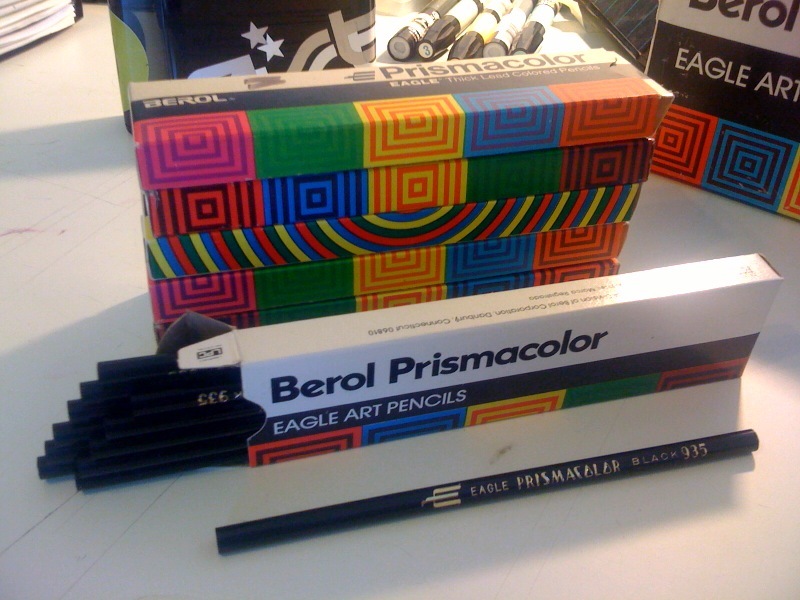 The “prismacolor” writing and funky color boxes on the side attracted my eye. 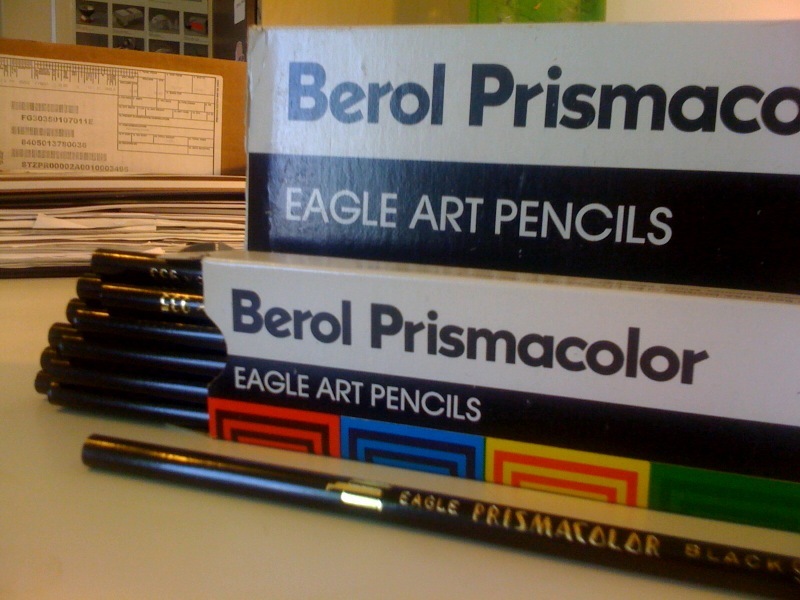 When I opened the box, I found 6 packs (of a dozen each) of Prismacolor pencils called a “half gross”. 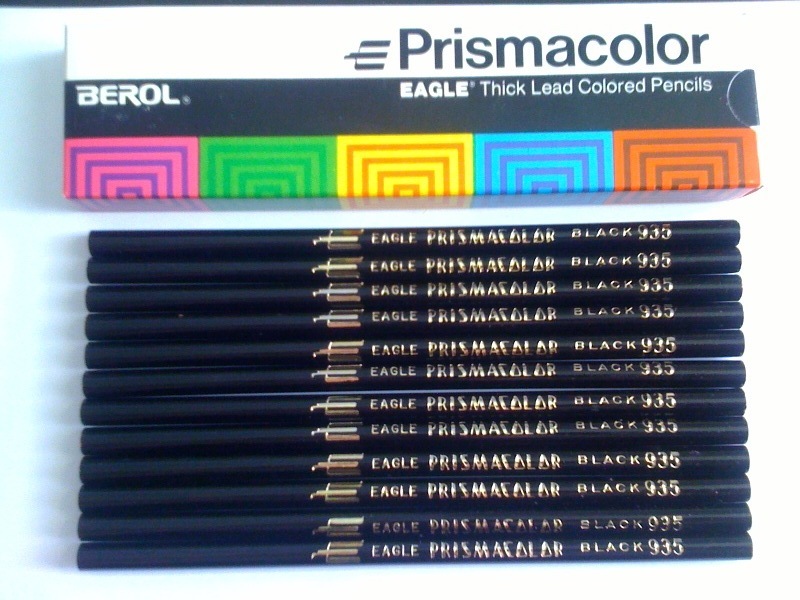 Each box is marked “EAGLE: Thick Lead Color Pencils”…. I opened one of the boxes and found mostly brand NEW prismas! The wood seemed really hard, and more like real wood. The Typography on the side, was totally different, much more of the period they are from…im guessing the late 60’s early 70’s ( judging the colors, type and wear of the packaging). 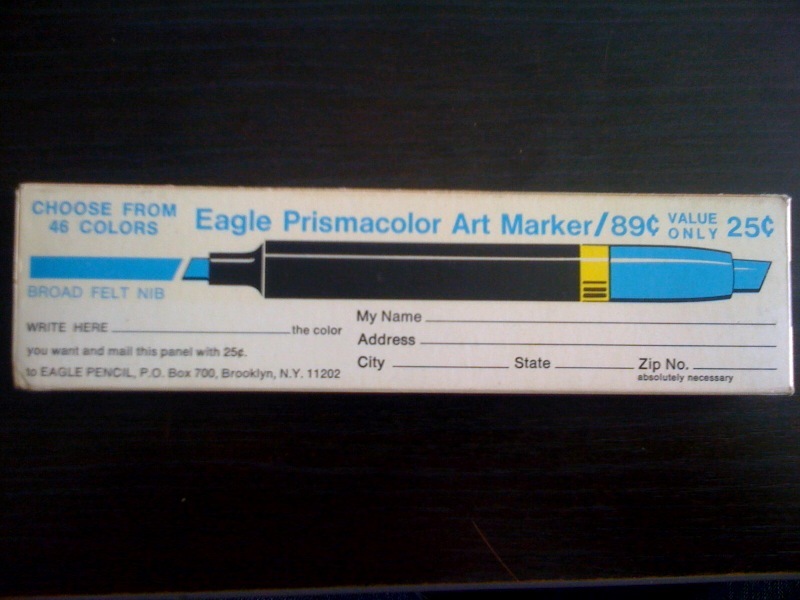 You can cut the back of this packaging off, mail it along with .25 cents to order really early prismacolor markers! I sharpened a few of them and noticed that the wood was much stronger, the lead alot stronger and really took a good point! 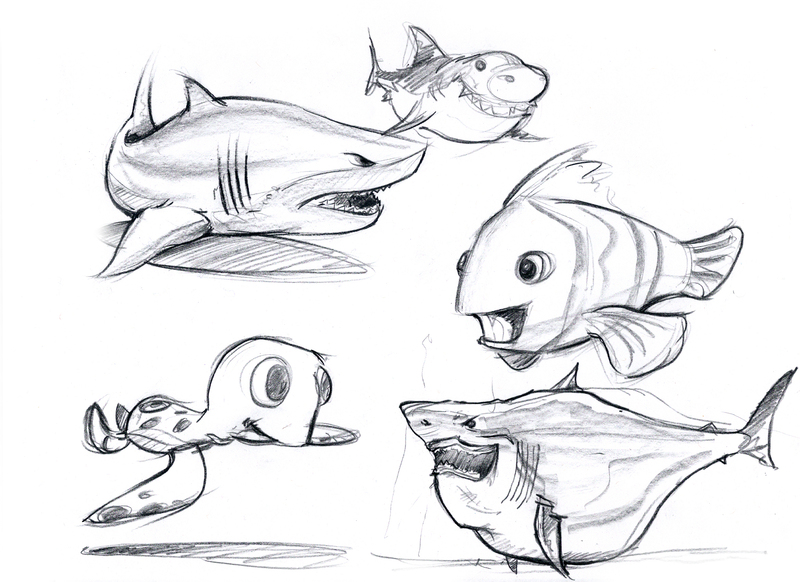 Decided it was time to sketch something out…a few of my favorites from Finding Nemo! Go Sharks! I wasn’t lucky enough to have taken the same class that Jon, Alex, Dan and Cres took when they sketched out those dope “creature sketches” that Jon just posted. I was fortunate enough to have the very same teacher throughout SJSU ID; Prof. John McClusky. The connection that many of us had with him, was something that fueled the fire to strive beyond the norm. Good, well informed design was only one of the many passions we picked up from John….Movies, Concept/Entertainment Design, Concept Artist, Sci-Fi, Infinite Futures and much more. 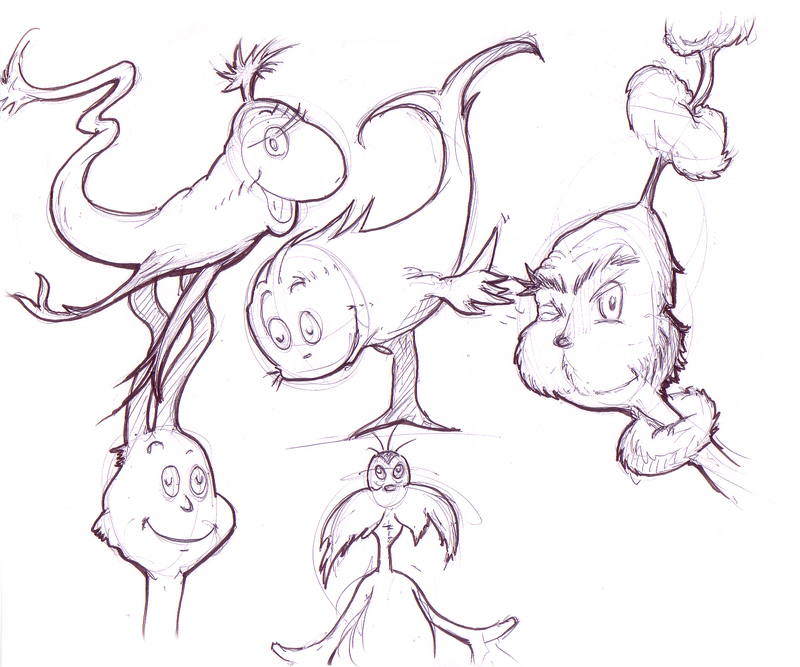 This sketch would be very ….Seussian…in one of Johns great qrit’s! Thanks so much for the many inspirations John! Dr. Seuss has always been one of my favorites and very influential as a young kid trying to learn to draw…Thanks Theodor Seuss Giesel! 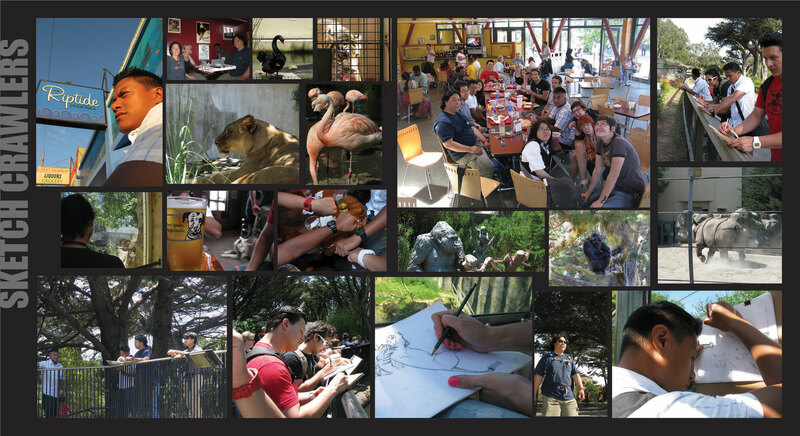 We wanted to share with everyone the wonderful work that everyone that came out on June 14 @ the SF Zoo. Sketching animals that are moving around, at a pretty good distance can be quite a challenge…but so many people did such fantastic work! Also, check out the photos that our 2 wonderful photographers shot all throughout the day! Thanks again all, and please share it with every person on this big happy planet you know! 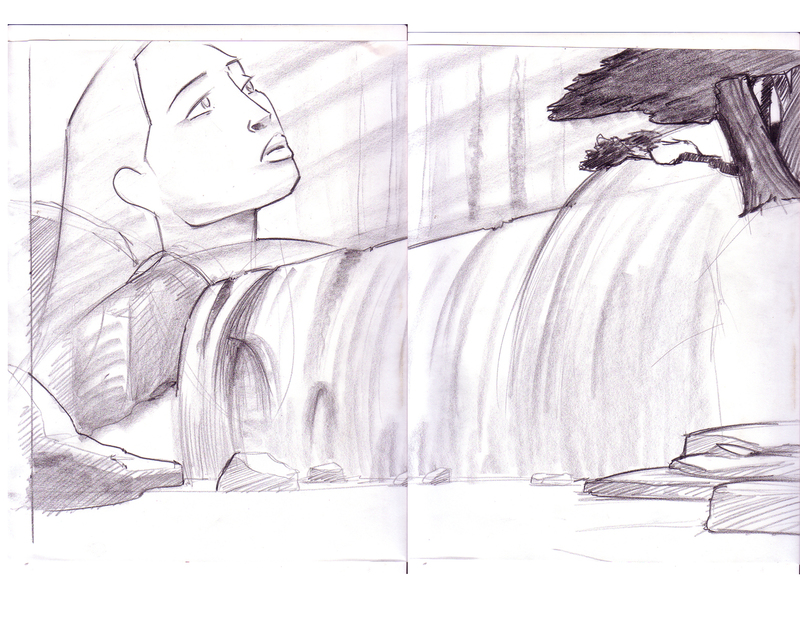 Oh, before I forget….would anyone be interested in getting this work in a MINI BOOK form? Who didnt get a copy of our first SKETCH BOOK? Hit us up, we will hook you up with one! They turned out awesome Jon! 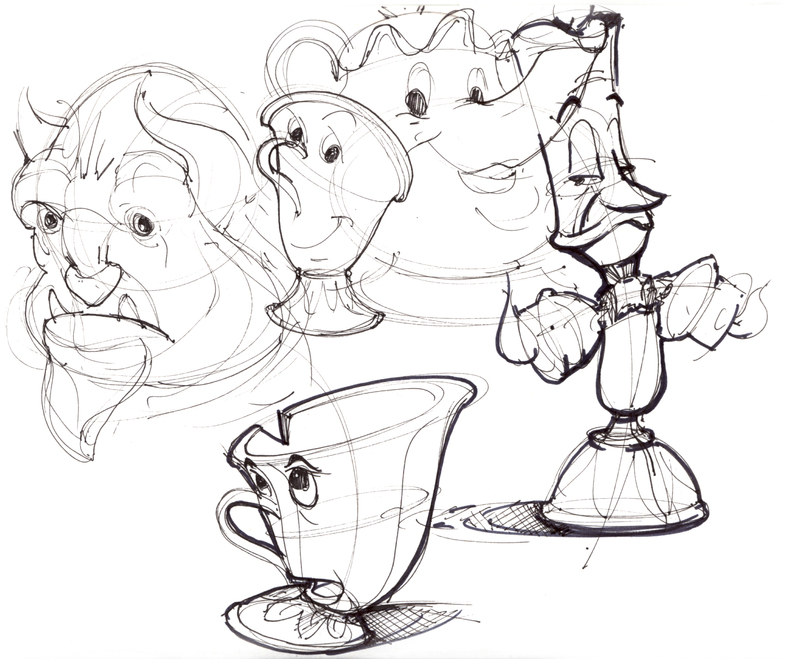 Some quick beauty and the beast characters I did awhile back during a brainstorming meeting I was in…Lumiere looks really french here!